Dr Joseph Dunne has joined the Department of Library & Information Science as a Lecturer in Library Science and artist-in-residence. This post was first published on 21st February 2018, on City University News. In recent years, universities have started to explore the benefits to learning, teaching, research, impact and outreach that derive from collaboration with an artist-in-residence. See for example, initiatives at Kings, UCL and Exeter. In September 2017, the Department of Library & Information Science, CityLIS, pioneered the idea of an academic appointment, joint with artist-in-residence activity, as we welcomed Dr Joseph Dunne to our team. The concept of the artist-in-residence has no exact definition, but is generally taken to mean the introduction of an artist (e.g. painter, sculptor, dramatist, choreographer, musician, poet, writer), into a novel, previously unexplored environment, either on a permanent or a fixed-term basis. The benefits of this are two-way, allowing the artist to draw upon new sources of creativity, whilst also providing the host organisation with fresh perspectives on their work, potential new directions, and new audiences. Joe’s background is unique, in combining expertise in theatre and performance, with an interest in archiving and audience participation. It was for this reason, that he was appointed as Lecturer in Library Science/Artist-in-Residence within the Department of Library & Information Science, working towards further developing an interdisciplinary perspective to their core areas of interest, which include documents, documentation, digital culture and digital curation. 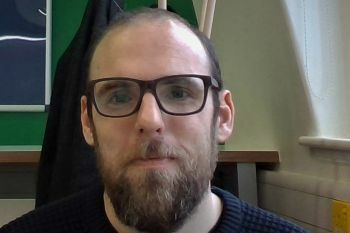 Joe has been working with Dr Lyn Robinson on the CityLIS project DocPerform, which endeavours to understand how temporal and participatory works such as theatre and dance can be understood as documents, and subsequently recorded and indexed for access, preservation, re-experience and re-interpretation. Lyn and Joe share an interest in how performance can be read as a document, and they are especially interested in the affordances of technologies such as virtual and augmented reality in the creation of new types of immersive documents, and their place in facilitating the archive. 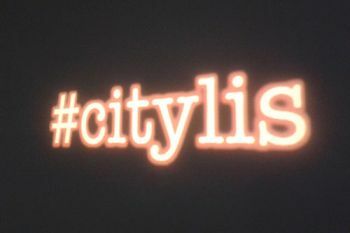 CityLIS has organised two international symposia connected with the project, both held at City. DocPerform, which took place in November 2016, and DocPerform 2: New Technologies which was held in November 2017. A special edition of the peer reviewed journal Proceedings from the Document Academy featuring a selection of the papers from the latter event will be published later in 2018. CityLIS are currently in discussions with colleagues at the V&A Museum to co-host DocPerform 3. The unique achievement of the DocPerform project to date has been in bringing together, for the first time, artists, creators, archivists, librarians, researchers and teachers from a variety of sectors to consider the documentation of performance, and to establish commonalities in respective understanding of performance as a document. The CityLIS DocPerform collection of contacts, abstracts and papers brings a novel, cross-disciplinary perspective, to the LIS field, extending it beyond the boundaries of its usual audience and inhabitants. CityLIS is currently engaged in further cooperative work within the area of performance documentation, including a major literature review and funding proposals to grow the project. The perspective of the artist-in-residence has brought additional benefits to CityLIS, beyond that of facilitating a new aspect to the discipline. Notably, an increased awareness of, and interest in, our courses has arisen from students, practitioners and researchers of theatre, arts and performance; indeed we welcome engagement with those interested in postgraduate study from non-traditional backgrounds, as well as with those whose interest in digital curation, remixing, archives and preservation comes from outside the traditional library & information science domain. The artist’s eye reimagines the world, and Joe’s experience and insight has led to new content for our courses, examining the place of theatre, participation, authorship and creation within the library and information sector. We have new colleagues and contacts, and new ideas for research and for non-text academic outputs. It is likely that other courses, projects and departments could benefit from embracing the artist-in-residence concept. The benefits are not all one sided, and for the artist, the liminal borders between disciplines provide a nourishing environment for creativity, individual growth and new work. Since joining CityLIS and researching theories pertaining to documentation, digital culture and the philosophy of information, I have gained a significant insight into the capacity of technology to engender audience participation and create interactive performances. Floridi’s image of the “infosphere” and his vision of an informational society has profound implications for the ways artists can collaborate with audiences across different medias and over great distances. Information professionals are ideally placed to impart knowledge of how interactive technologies are changing how reality is perceived and engaged with, and the ways bodies of knowledge are formulated as a collaborative exchange in digital spaces. I have a longstanding interest in documents and documentation, and so I am very happy that our DocPerform project will host a second Symposium over Nov 6th – 7th 2017. We are keen to hear from anyone thinking outside the box with regard to the documentation of performance; what could we do with new technologies such as virtual and augmented reality, with the multisensory internet, and with new human computer interfaces? We are looking for ideas for a range of papers and other activities. Instead of focusing on the impermanence of live, embodied acts, it is far more useful to think of the live and the recorded as mediums that facilitate communication between spectators and performers; both of these groups oscillate between the roles of receivers and transmitters of information over the duration of a performance. Our second Symposium considers how new technologies enhance our understanding of performance as a document, and the documentation of performance. Following our successful launch last year, the DocPerform team are delighted to announce our second symposium that will take place over 6th and 7th November at City, University of London. DocPerform is an interdisciplinary research project led by scholars and practitioners from the fields of performing arts and library & information science. The project concerns conceptual, methodological and technological innovations in the documentation of performance, and the extent to which performance may itself be considered to be a document. Advances in technology including 360° recording, binaural sound, virtual reality, augmented reality, multisensory internet, pervasive computing and the internet of things, have revolutionised the way we interact with the digital world. These technologies have brought about a convergence of eBooks, interactive narratives, video games, television programming, video and films, so that previous boundaries of document categories are no longer meaningful. As our understanding of, and interaction with documents is evolving, so are the ways in which we can experience, record and remember performance. Technology is the means by which we create new documents, and also the means by which we can record, preserve, access and replay them. A participatory story or experience (fiction or fact-based) is one in which the ‘reader’ moves beyond a passive experience of the text and becomes an active participant. Technology allows us not only to create, experience and re-experience new types of digital documents, but also to record and re-experience analogue events which are demanding of temporal and locational parameters, from our children’s birthday parties, through rock concerts, to dance and theatre. Two key elements are participation and immersion; the former implies the degree of agency experienced, whilst the latter is the extent to which unreality is perceived as reality. These elements are facilitated by technologies such as transmedia and pervasive computing, VR and AR, wherein readers/observers or audience members experience a high level of ‘presence’, and can readily switch between the role of observer, participant or creator. These developments compel us to investigate how performance documentation will evolve in terms of changing audience and readership behaviours. Moreover, the means by which theatre and dance are produced will inevitably have to respond to the burgeoning demands of online participatory culture beyond existing documentation techniques. DocPerform 2 invites submissions for papers, performative papers, subjects for plenaries, workshop activities, or “provocations” from scholars and artists working in the areas of performance documentation, digital arts, library & information science, social media technologists, internet archaeology, audience participation, immersive theatre, and archives. We are especially interested in works relating to dance and theatre. We anticipate that formal papers will last for 20 mins, including questions, but we are open to suggestions for the timing of other activities. By extending the symposium to 2 days, we are allowing more time for discussion, networking and planning. Why do we document performance? Who are we documenting for? What is missing in our current documentation, the records and archives of performance? Please send suggestions/abstracts, plus 100 word biography, to both Lyn and Joe [lyn@city.ac.uk, jjd201@gmail.com] by Friday September 15th. Submissions should be no longer than a single page of A4. Authors of successful submissions will be notified in early October 2017. The selection panel will comprise members of the DocPerform Team. Abstracts for accepted presentations will be published on our website around the time of the Symposium. Full papers of accepted presentations will be considered for publication after the event. We are interested to hear from open access publications interested in working with us. I was lucky enough to be able to attend Fashion Digital Memories 2017, the Europeana Fashion Symposium 2017 organised by the Europeana Fashion International Association in collaboration with Università IUAV di Venezia and The New School – Parsons Paris. The Symposium explored the ways in which fashion archives are experimenting with, and utilising, digital technologies to enhance the record and the reader/visitor experience. The presentations reminded us of websites which furnish the reader with rotatable, high-definition images of garments, contextual video, and text descriptions, but also showcased more innovate technologies such as those using X-ray images, which provide additional ways to explore and interpret fashion items, and which also stand as new forms of art in themselves. The three main protagonists of the conference seemed to be (1) fashion house archives (e.g. Versace), (2) academic institutions (eg London College of Fashion, Humboldt University) and (3) significant national collections (eg MoMa, Museum of London, V&A). Especially interesting was the keynote given by Tim Long (@Fashion_Curator), from the Museum of London. Tim outlined some of the innovative projects he was involved with, which moved beyond collecting and conservation, to explore the boundaries of fashion heritage. The role of digital recording in stimulating new ideas, innovation and creativity was paramount. The challenges inherent in capturing both material and immaterial memories was raised. Sadly, LIS was represented only through the archive profession, although much of the material dealt with core LIS issues: how to classify items, how to use a consistent vocabulary/terminology for description, what facets are appropriate for the subject, what kind of metadata is useful, how best to use linked data, and how to make digital materials available for both experts and casual users. There was also an emphasis on UX – in particular the idea that, for casual museum/gallery visitors entertainment must come first, and information can follow for those interested. The tendency of information professionals to want to make all their material available up front should be resisted – it should be there for those who need it, but for most people a sample of exciting/pleasing material will be enough. Experiences and encounters with archive/museum materials should be ‘delightful’. The essential need for any material to be designed for mobile technology was also emphasised, and parallels could readily be drawn with the library world; readers/visitors/audiences have high expectations borne from multimedia, snippeted and mobile informational encounters. This is often at odds with the scholarly approach taken by traditional academics, librarians, curators and archivists. There is a contemporary need however, to make collections viable financially, and culturally available and of interest to the widest possible number of people. Also mentioned was use of standard vocabularies – Iconclass, Getty Art and Architecture Thesaurus, Getty Index of Names, OCLC’s Virtual International Authority File for names. The limitations of these vocabularies for fashion was evident. Research detailed some attempts to extend them, eg adding multilingual fashion terms to AAT, but there was also a tendency to invent local vocabularies. Kate Bethune (@BethuneKate) from the Victoria and Albert Museum described the wide use of digital technologies in the recent Alexander McQueen exhibition, Savage Beauty, including digital storytelling, digital ‘cabinet of curiosities’ Pepper’s Ghost and immersive sound. Newer use of digital technologies included x-ray imaging followed by digital enhancement, deep zoom imaging, digital garment creation from digital pattern pieces, inclusion of digital artworks (especially for preservation/reconstruction), and outreach via social media. Overall, I thought about documents and documentation. Specifically, the similarities between attempts to document fashion with attempts to document performance. Why are we documenting, and who for? What is missing from our record? Somewhat surprisingly, none of the presentations reference VR/AR, which seems an area which could offer much to the realms of archiving and documentation in general, and perhaps fashion, specifically. I wondered if garmets, and their associated archives, could benefit conceptually from Buckland’s documentation theory – if we think of ‘document’ very broadly (i.e. the item of clothing as a document), we can consider firstly the physical attributes of the garment, and then subsequently, our personal interpretation or understanding of/from the garment as a document, and finally the socio-cultural meaning and impact of the garment. There is more to fashion than looking good. Buckland, M. (2017). Information and Society. MIT Press. Long, TA. (2015) Charles James, Designer in Detail, V & A publishing. Robinson, L (2017). Storify of Fashion Digital Memories. Van Hooland, S and Verborgh, R (2014). Linked Data for Libraries, Archives and Museums. Facet.